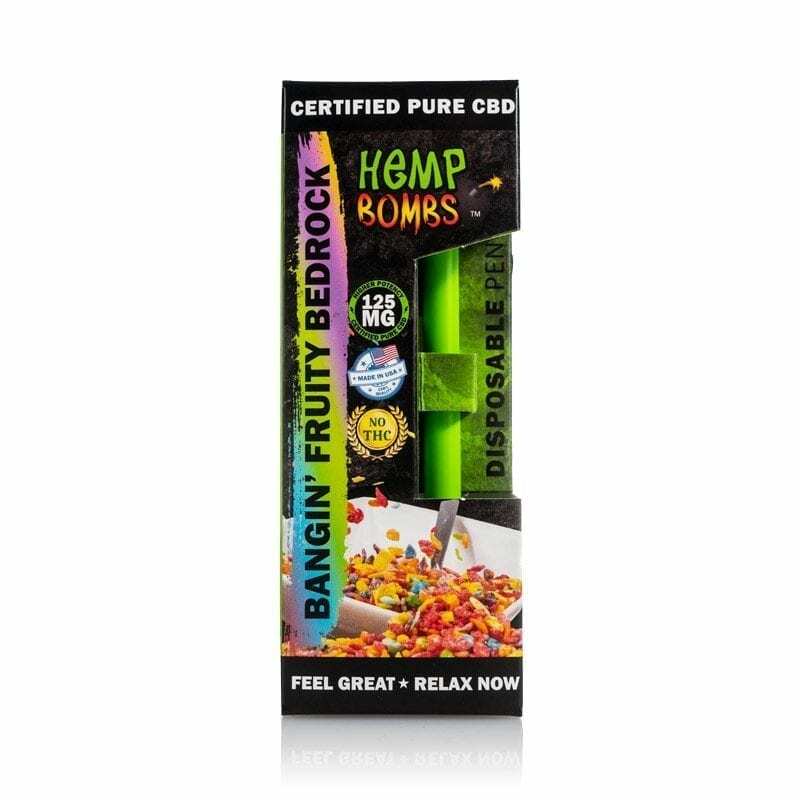 Hemp Bombs CBD Vape Pens are ready-to-use, pre-filled pens featuring our signature CBD Vape Oil. Whether you're new to vaping or looking for a sleek, on-the-go device, our CBD Vape Pens deliver the positive effects of pure CBD, which may include better sleep, reduced anxiety and pain relief. There is no charger or battery required - just pull, inhale and enjoy our CBD e-liquids with delicious flavor. Our ultra-concentrated CBD Vape Pens will last up to 150 or more puffs, and you can easily dispose of it after use. Hemp Bombs CBD Vape Oil contains a 70/30 VG/PG split for maximum cloud production and we offer a variety of yummy flavors. Our CBD is sourced from organic, premium-grade Industrial Hemp grown on domestic farms, allowing the natural therapeutic properties of CBD and the Hemp plant to shine. Vaping CBD allow for fast, effective absorption into the body so you can feel great and relax now.